This post is written by Casey Brown, sales and development assistant for Experience Columbus. You can follow her on Twitter @CbusCasey. If you are at all like me you feel quite a bit of pressure to plan a perfect New Year’s Eve. Thankfully, the New Year’s Eve calendar in Columbus is jam packed with plenty of events to help you ring in the New Year. The new big player on the New Year’s Eve scene is the Hollywood Casino. 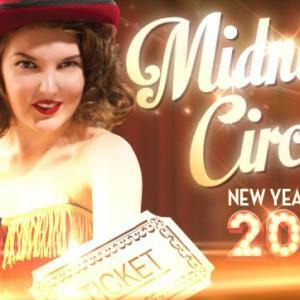 They are hosting Midnight Circus 2014 New Year’s Eve. There will be live entertainment from the Life of the Party, plenty of gambling, and a midnight balloon drop in the o.h. Lounge. Some of the largest parties in Columbus are at the Hyatt Regency Columbus and Renaissance Columbus Downtown. The City is Yours Tonight hosted by the Hyatt Regency boasts multiple musical performances in 70,000 square feet of space, not to mention all you can eat and drink. The NYE Gala at the Renaissance hotel will have some of Ohio’s most well-known DJs like Matt Majik and Corey Chaos and plenty of food and drink. The best part about hotel parties is that they offer great deals for rooms right upstairs! If you’re looking to sing your way into the New Year, The Big Bang Dueling Piano Bar is hosting Ring in the New Year with Bang! Tickets can be bought here. If you prefer to keep your singing in the shower, head out to the Short North Pint House New Year’s Eve party. Cover is free for general admission, but you can make table reservations here. Or go to one of the bars on Park Street, like Cantina. There’s no cover until they are at their capacity or e-mail for reservations here. http://events.nbc4i.com/columbus_oh/events/show/368834698-new-years-eve-fiesta-park-street-cantina. These are just a sampling of the parties going on this New Year’s Eve, and there are plenty more out there at most of your favorite bars and restaurants. Wishing you and your loved ones a happy and healthy New Year! Bring on 2014!